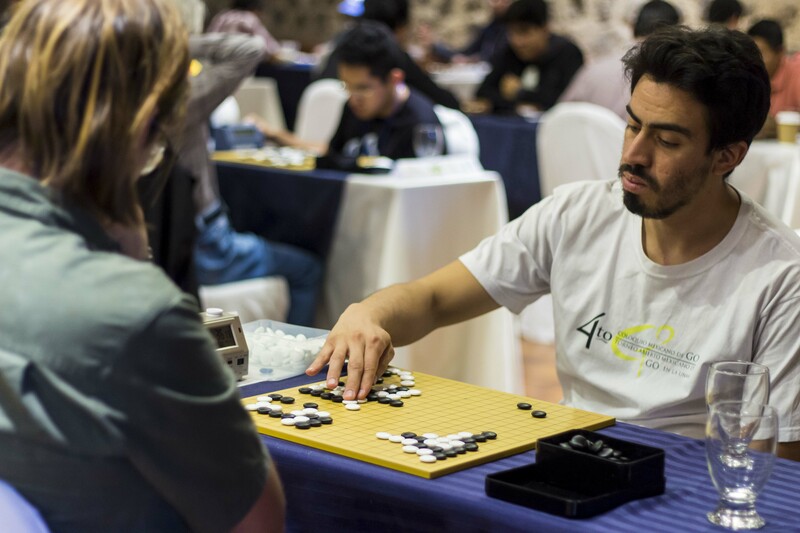 I’ve been working with Yuan Zhou on a new book about the astonishing degree to which pros are adopting an AlphaGo tactic that is a direct rejection of traditional theory about how to play. The move in question is invading on a 3-3 point behind the opponent’s 4-4 point stone very early in the game—even as Black’s third move! Any strong player would have laughed (or screamed if it was your teacher) if a relatively weak player had done that a year ago. But now, even the very top pros do it. I have seen several games in which Ke Jie 9p of China, considered by many to be the best player in the world, has done this, including invading with move 3 as Black. If you browse through the games in any pro tournament, you will find a lot of these early 3-3 invasions. 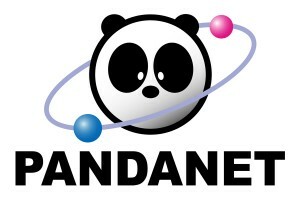 I don’t know whether amateurs are picking up on this—the people I play on DragonGo often seem somewhat startled when I do it. But it is an amazing instance of how much freedom there is in playing go. 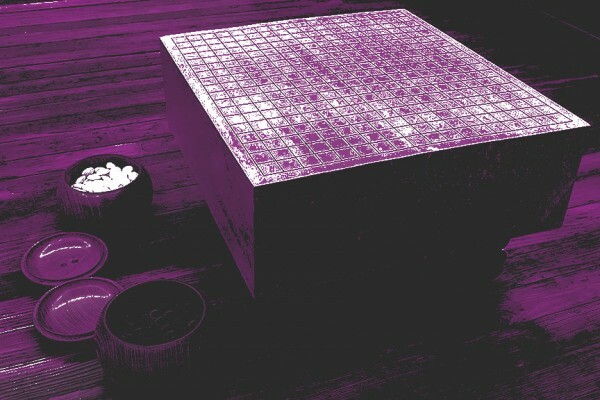 The fact that AlphaGo has pretty much proved that go is not going to be “solved” so that a knowing player with first move can always win (even AlphaGo can’t do that), you can enjoy participating in something that truly offers a real opportunity for creativity and freedom. Of course, this doesn’t mean that anything goes and can be freely tried. Starting on the 1-1 points is not going to lead to a happy result. In that regard, go continues to be a lot like life. There are a lot of quite appropriate restrictions on our behavior, but no one really knows the limits of what can be done. Don’t just stay with the same old routines all the time—look for new possibilities. They could be revolutionary. 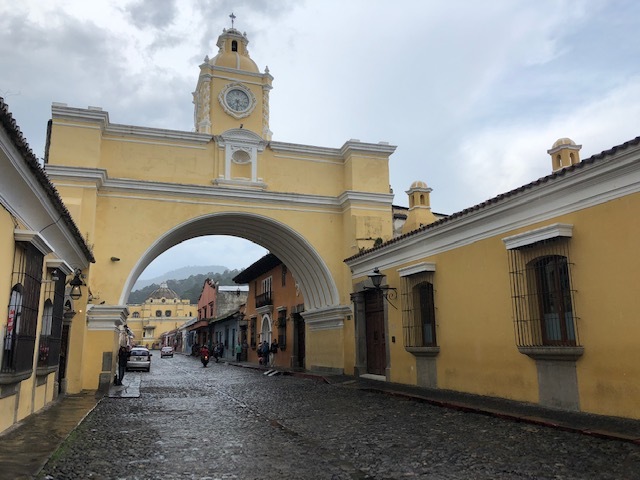 Following up on last year’s first-ever Latin American Go Congress in Cancun, Mexico, the Ibero American Go Federation staged a well-run event October 13-15 at the Porta Hotel Antigua in Antigua, Guatemala. 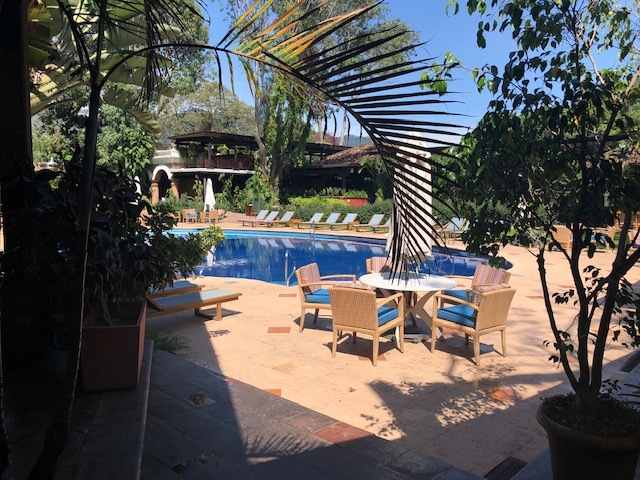 The Porta Hotel has five stars but still feels authentic and local, with Guatemalan art, crafts and design throughout. The playing room was large and could be set up simultaneously for lecture, simuls and the tournament rounds. 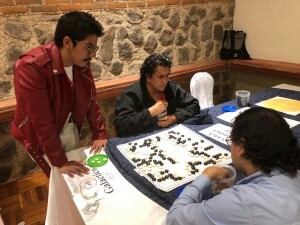 Forty six players – including ten above 3 dan – were spread over six MacMahon bands, run by TD Adrian Ramirez 5k of Guatemala. Abraham Florencia 5d from Mexico won the 2018 Latin American Championship, and Mexico also took the second Pandanet Team Latin American Championship, beating Chile in the final of the 10-team event which started back in January. The second Latin American Youth Tournament was taken by Juan David Ramirez 3d of Colombia, while the winners of the third Latin American Pair Tournament were Eun-kyo Do 1p of Korea and Hector Paiz of Guatemala. Like the US Go Congress – on which it’s modeled — there was a lot to do at the Latin American Go Congress. Korea once again sent two excellent representatives; Cho Hye-yeon was her effervescent and engaging self and Eun-kyo Do was quiet, charming…and deadly. From the U.S., Zirui Song 1d (right) from Chicago attended with funding from the American Go Foundation. 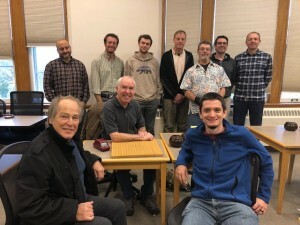 The pros played simuls every day, offered free commentary on games as they finished, and each gave a lecture. 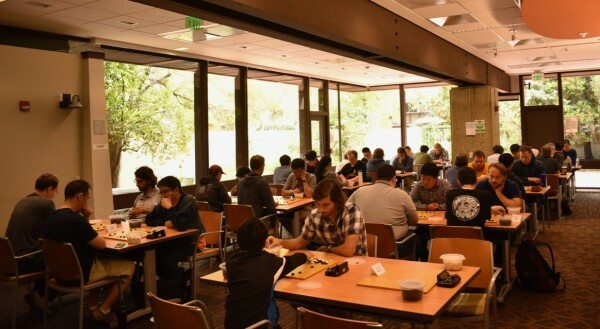 Zirui’s contribution on Friday detailed two high level games – including one of his own from the last US Go Congress. He led the group though multiple variations – including the “why you can’t cut there” sort of questions which are obvious to the pros but not to the strivers. On Sunday I ran Crazy Go (left) – known in this case as “Go Loco” — with the usual laughter at Rengo Kriegspeil, puzzled looks over the spiral board, and real interest in Coupon Go – including from Zirui. Antigua is a beautifully preserved and restored Spanish city catering to tourists. The food at the Congress was superb – especially the included lunch – and reasonably priced for the location. Other than the last day, when the cultural tour encountered several hours of torrential downpour, the weather cooperated – the thunder storms came while we were playing and the temperature was always temperate. 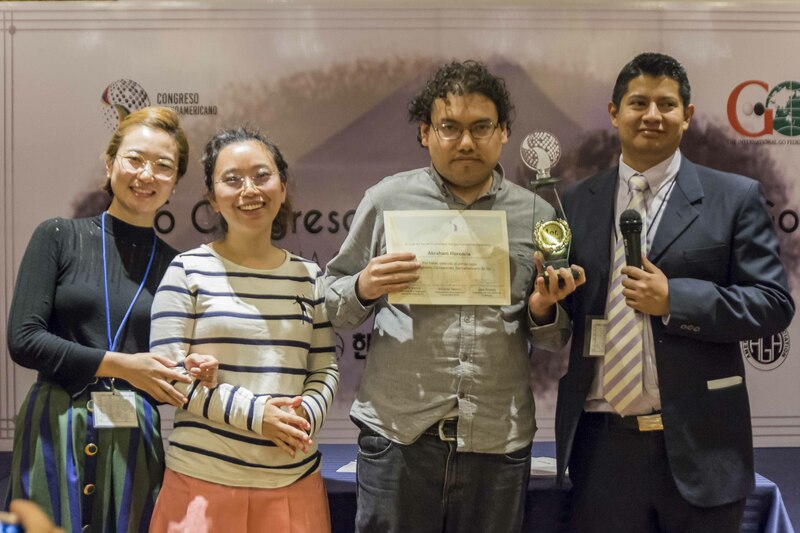 Great credit goes to the team from Guatemala including main Congress organizer Jose Romero (at far right with Abraham Florencia, and two Korean pros), to IberoAmerican Go Federation president Emil Garcia (left), and to the many other volunteers who helped in the typical spirit of go congresses. The venue for next year’s Latin American congre ss is uncertain, though Buenos Aires is a prime candidate. 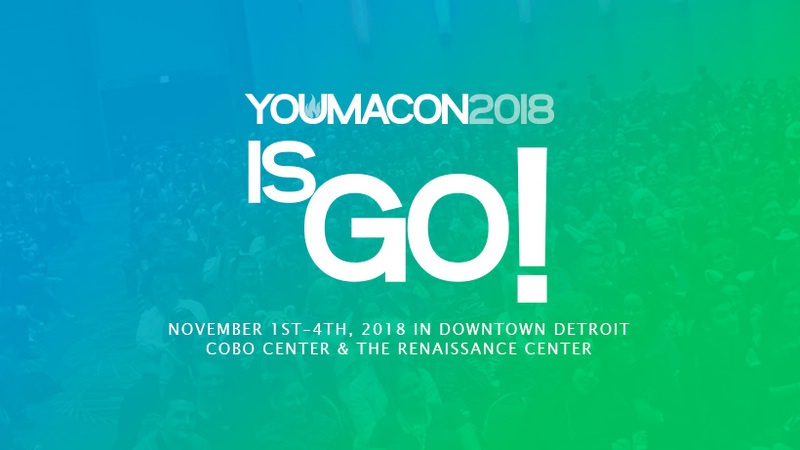 What is certain is the quality of the event and the fun of an international gathering like this, which will only grow as Latin American players come to know the unforgettable experiences at a Go congress. 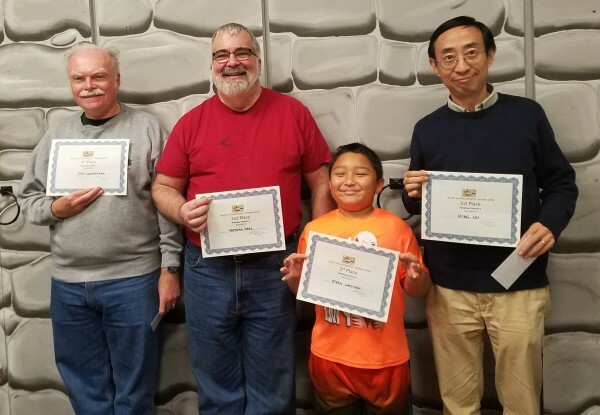 photo (l-r): Jim Conyngham, Nathan Hess, Ethan Whitman and Rong Hu. The Texas State Championship scheduled to be run in parallel with this tournament had to be postponed and will be rescheduled at some point in the future TBD. AlphaGo vs. AlphaGo; Game 23: LIVE from Washington DC! Game 23 in the AlphaGo self-play game series gets a very special extended treatment in this episode of Michael Redmond 9P’s commentaries with E-Journal Managing Editor Chris Garlock. The episode was recorded live on Friday, September 7 at the National Go Center in Washington DC, before a live audience, which had braved torrential rains to be on hand. Redmond first provides a brief overview of the game and then the two move to a demonstration board (at 18:40) for a more in-depth analysis, along with Q&A with the live audience. Check out the video here and the commented game record below. Thanks to Jeff Fitzgerald for camera, lighting and sound, Nathan Epstein for production, NGC Executive Director Gurujeet Khalsa for technical support, and Andrew Jackson for editing. 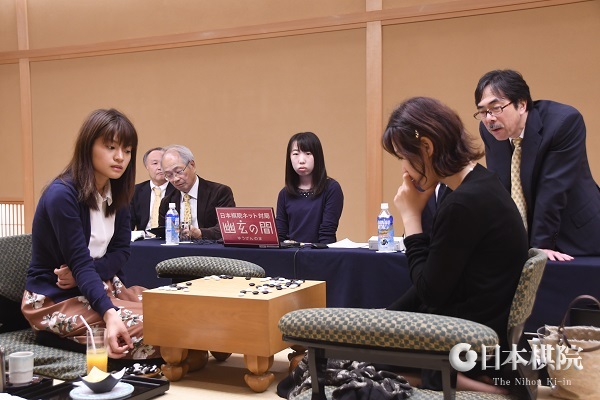 Fujisawa makes good start in Women’s Honinbo: For the fourth year in a row, we have the same pairing in the Women’s Honinbo title match, that is, Xie Yimin v. Fujisawa Rina, but alternating the roles of defender and challenger. Fujisawa first won the title in the 33rd term (2014), when she beat the defending champion Mukai Chiaki 3-0. The following term, Xie, who had already won this title six times (in a row before losing to Mukai), challenged and regained the title with a 3-2 score. In the 35th term, Fujisawa took the title back, winning 3-1, but lost it to Xie 2-3 the next year. So it was no surprise when Fujisawa became the challenger again this year for the 37th term. At present, this is the only title Xie has, so she will be reluctant to hand it over. 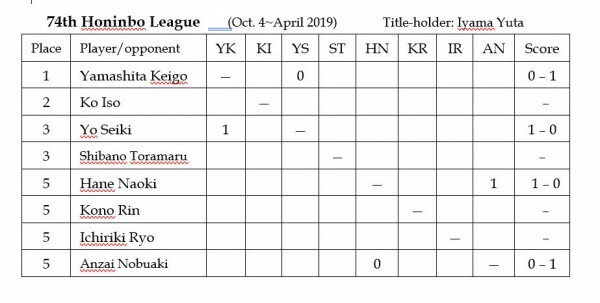 If Fujisawa wins, she will become a triple title-holder again, as she also has the Hollyhock Cup and the Women’s Meijin. Incidentally, this is the third time that a women’s title match has featured the same card four years in a row; it has not yet happened in open tournaments. The first game was held at the Kashoen inn in Hanamaki City, Iwate Prefecture, on October 10. Taking black, Fujisawa won by resignation after 145 moves. Xie is known for her aggressive style, but in the early middle game she played a move focused more on defending one of her weak groups instead of attacking, and this seems to have made the game tough for her. Later, she played another overly defensive move, letting her opponent occupy the last remaining big point from the opening. Xie staked her chances of pulling off an upset on setting up a center moyo, but Fujisawa was able to whittle it down enough to keep her lead. There is a long gap before the second game, scheduled for November 9. Incidentally, Fujisawa has been on a winning streak since August 30, and this was her ninth successive win. 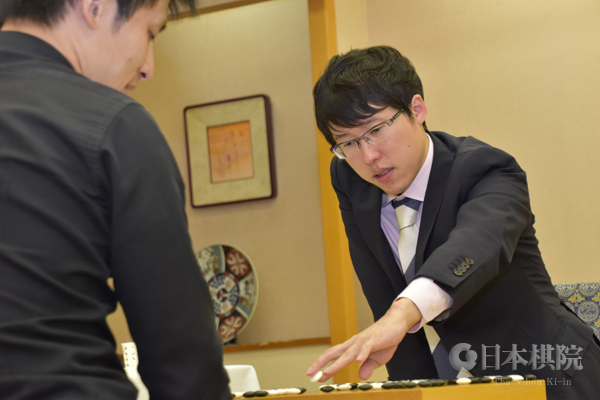 Iyama close to goal in Meijin title match, but Cho picks up second win: After Cho U scored a good win in the third game of the 43rd Meijin title match, it looked as if the contest was going to heat up. 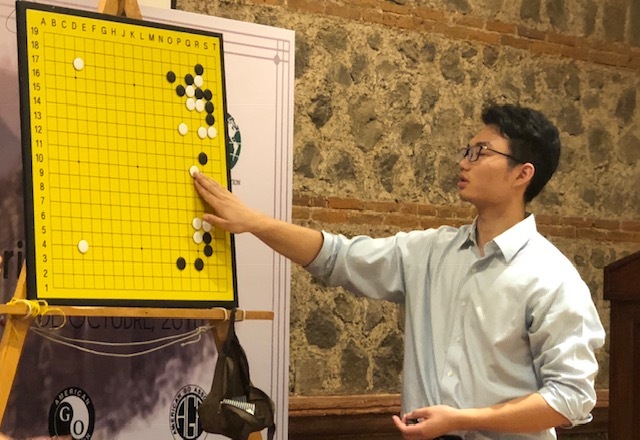 Ishida Yoshio, 24th Honinbo, often comments that the fourth game in a best-of-seven is crucial, as there’s a big difference between 2-2 and 3-1. The all-important fourth game was played at the Takarazuka Hotel in Takarazuka City, Hyogo Prefecture, on October 10 and 11. The first day’s play, which showed strong AI influence in the josekis, was quite promising for Cho, who had black. However, he went wrong on the second day when he made a strategic decision that took territory but gave Iyama too much central moyo potential. The defending champion took the initiative. Cho had to invade Iyama’s moyo, but was unable to live with all of his stones. Iyama cut off what in the end was nearly half of the invading force, and this was enough to win. Cho resigned after 188 moves. That took Iyama’s lead to 3-1, so he is very close to defending his title. Honinbo League: Two games have been played in the new Honinbo League, the 74th. On October 4, league veteran Hane Naoki 9P (W) beat league debutant Anzai Nobuaki 7P by resignation. The second game was played on the 11th, with Yo Seiki (Yu Zhengqi) 7P (W) beating Yamashita Keigo 9P by half a point.